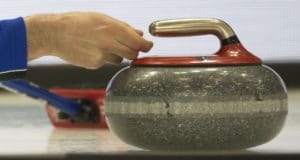 The team topped the country in money earnings on the Asham World Curling Tour last season, claiming a pair of Grand Slam victories — the Grey Power World Cup of Curling in Windsor, Ont., and the BDO Canadian Open in Oshawa, Ont. 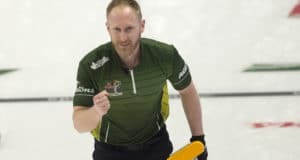 The squad also finished second on the Canadian Team Ranking System to book its spot in the Capital One Canada Cup of Curling, beginning Nov. 30 in Cranbrook, B.C. It was a splendid season for vice-skip Neufeld and his mates (the team is rounded out by second Matt Wozniak and lead Denni Neufeld, BJ’s older brother), and the new year is already off to a rousing start, with their victory over Kevin Martin of Edmonton in the Point Optical Classic in Saskatoon on Monday, capping an unbeaten run through the cashspiel. 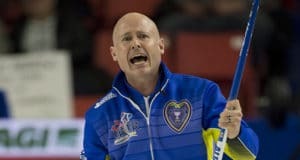 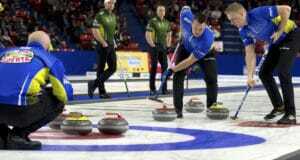 Neufeld comes by his curling prowess honestly; his dad, Chris, was Vic Peters’ long-time second, winning a Brier in 1992, and he now coaches the McEwen team, which has finished second in the past two Safeway Select Manitoba provincial championships. 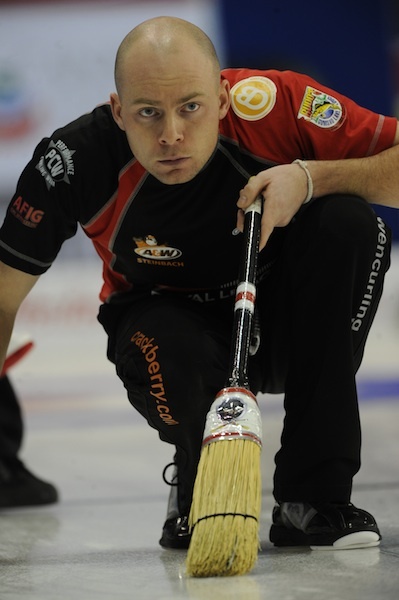 BJ, though, has three previous Manitoba jackets, having won provincial junior titles in 2004 and 2005 with skip Daley Peters (yes, Vic’s son) and in 2007 with skip Andrew Irving.